At the Joint Institute of Nuclear Research (JINR) in Dubna, Russia, scientists extend our knowledge by creating new elements. Photo: JINR. Chemistry, as you probably already know, is that branch of the natural sciences that deals with the study of matter. Researchers within this field are looking at the properties of individual atoms, how they bond to one other, how they interact and react, and how they are affected by other forces. At CAS Oslo, the research group Molecules in Extreme Environments has taken this to the next level. 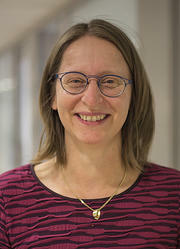 Elke Pahl and Krista G. Steenbergen, faculty members at Massey University Auckland, New Zealand, are participating in the project. They are working with theoretical and computational modeling of atoms to get an understanding of what a substance, or a ‘bulk solid,’ made up of billions of such atoms would look like. ‘When we have information about an atom’s composition and properties, we get an idea of how it would interact and react with other atoms. With information from a couple of observations of one atom, we can model how a billion of them would bond and form matter.’ Steenbergen explains. One of the elements Pahl and Steenbergen have been working with lately, together with CAS Oslo fellow Peter Schwerdtfeger, is element number 112, Copernicium (Cn) -- more specifically the isotope 283Cn. Copernicium is a ‘superheavy’ element, meaning it has a large number of protons in its nucleus. All superheavy elements are highly unstable and only exists briefly under highly controlled circumstances here on Earth. In fact, scientists have never been able to observe more than one atom of Copernicium at a time. Copernicium is created in a laboratory by crashing one atom into another. In the case of 283Cn, a heavy calcium atom (48Ca) is accelerated to an extremely high speed in a large cyclotron before being slammed into a plutonium atom (242Pu). 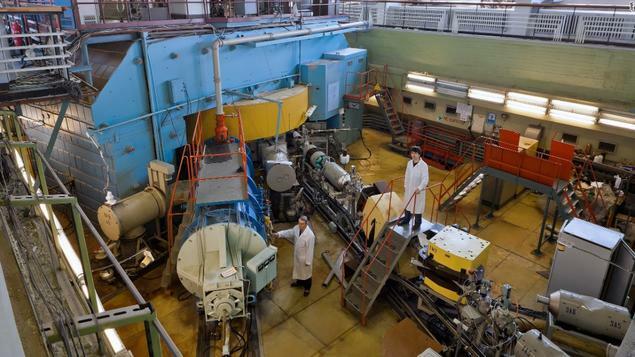 These experiments were carried out at Joint Institute of Nuclear Research in Dubna, Russia, by a team of experimental physicists. As of today, 283Cn has been successfully created and examined only six times. 283Cn is not a particularly stable isotope, and it decays within four seconds. This means that researchers have very limited time to study the atom before it turns into another element. ‘This kind of testing has been done with a lot of nonsuperheavy elements earlier, and researchers have found that where the atom lands on the gold detectors (i.e., adsorption enthalpy) is mostly linearly related to the element’s cohesive energy,’ Pahl adds. Cohesive energy (Ecoh) is the amount of energy that would be released if a bulk solid was completely vaporized into individual atoms. Elements that exist as metals at room temperature and atmospheric pressure, like iron (Fe), are very strongly bound (i.e., higher Ecoh), while gases, like Radon (Rn), are more weakly bound. For Copernicium, both the cohesive energy and lattice structure has long been unknown. The error bars, Steenbergen says, are so large because only six atoms have been created in a cyclotron experiment where they have measured the adsorption enthalpy on gold. The experiments necessary to create Copernicium are very expensive, and they do not guarantee the creation of a Cn-atom. The experimental physicists therefore enlisted the help of Pahl and Steenbergen’s team to see if they could validate their findings. Pahl and Steenbergen used highly sophisticated quantum chemical methods in order to model the lattice structure and cohesive energy of bulk solid Copernicium computationally. 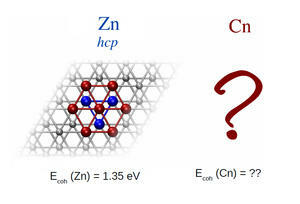 Their findings show that the cohesive energy of Copernicium would be between 0.376-0.410 eV, and that it is most likely to have an hcp lattice structure. 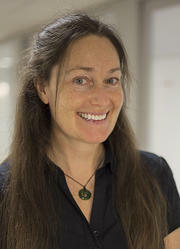 ‘We maxed out computational time, processors, and memory, and had to introduce some approximations in order to make the study feasible, but we managed to highly validate the experimental cohesive energy,’ Steenbergen says. ‘We also figured out that Copernicium would most definitively be a liquid, if not even a gas, under earthly conditions if it were stable enough to exist,’ Pahl adds. Even though we will most likely never benefit from Copernicium itself here on Earth, the research on the element has given us new knowledge to add to the periodic table. Validating experimental results through computational simulations can also verify research methods. Both experimental physicists and computational chemists can then be more confident that their method will lead to correct results in future experiments and simulations. Phys. Chem. Chem. Phys., 2017, 19, 32286-32295.